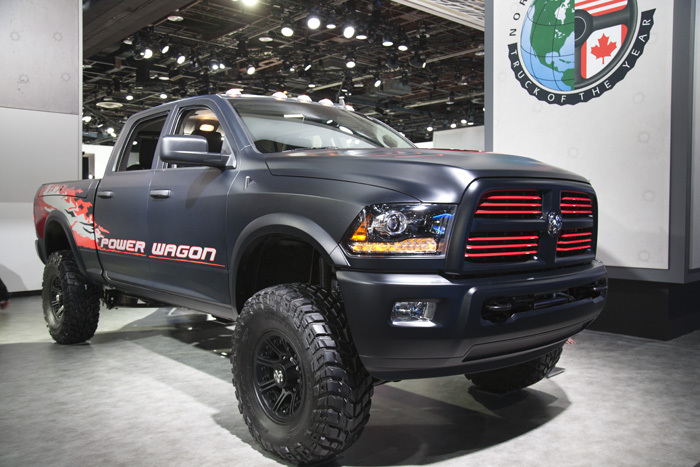 The 2013 North American Auto Show, commonly known as the Detroit Auto Show, got underway with the naming of the Car and Truck of the year. This year the Cadillac ATS won top honors as Car of the Year. The all-new model was designed by General Motors Cadillac division as an instrument to challenge BMW in the compact sports sedan segment. 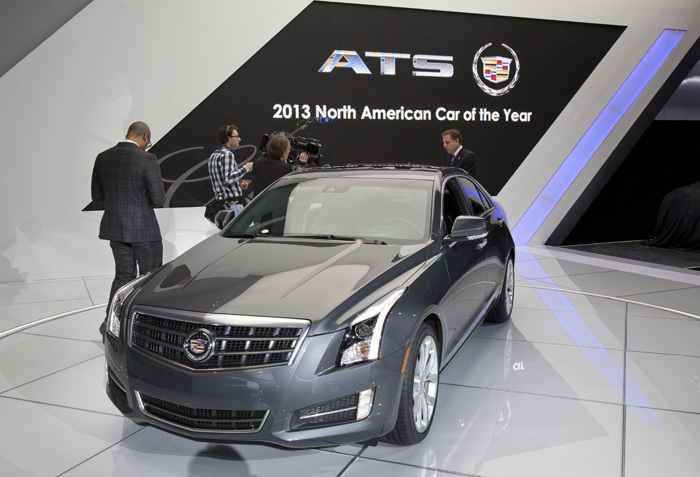 The win was hardly surprising given the near universal accolades being heaped on the ATS by just about anyone that’s driven it. The other 2 finalists in the competition were the 2013 Honda Accord and the 2013 Ford Fusion. The 2013 Dodge RAM 1500 was named Truck of the Year. The pick up truck made it through to the finals up against the Mazda CX5 and the Ford C-Max. The Dodge Ram last won Truck of the Year in 1994. While there were other examples of the RAM truck on Chrysler’s stand, I could not resist this tricked out RAM Power Wagon. Something about this bad boy screams “Zombie Hunter”.